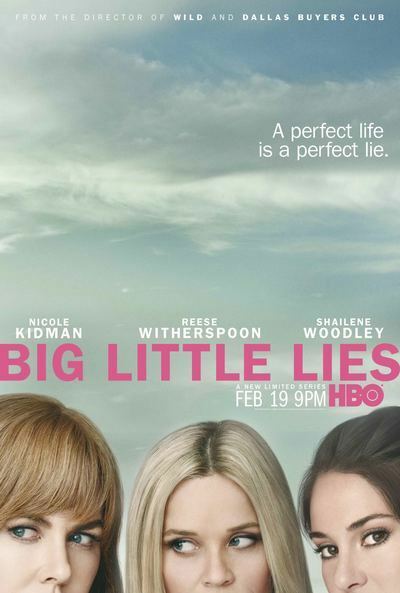 Big Little Lies is an HBO miniseries based off of the book of the same name by the author Liane Moriatry. 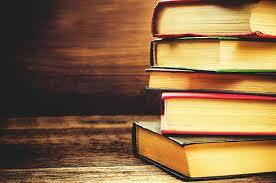 You can read my colleague Ann’s book review here. Reese Witherspoon stars as Madeline Martha Mackenzie. Madeline is middle-aged mother of three. Her oldest daughter’s father, Nathan, left the family when Abigail was a small child. Madeline is very angry at her ex-husband, Nathan, since he has recently moved back to town with his new wife and daughter, Bonnie and Skye. Nathan has been very involved in his daughter Skye’s life which hurts Madeline since he left her alone to raise their daughter Abigail. Madeline has remarried and has two children with her husband Ed (Adam Scott). Madeline is taking her daughter Chloe to Kindergarten roundup and has some trouble. Jane Chapman (Shailene Woodley) stops to help. The two women find out they are going to the same place since Jane is taking her son Ziggy to school. Jane is a single mom and new to town. Madeline decides to take Jane under her wing. She remembers what it is like to be a single mother and to be judged by the other moms. When they arrive at school, we are introduced to Celeste (Nicole Kidman) and her twin sons. Celeste appears to have an ideal life. Her husband Perry (Alexander Skarsgard) is handsome and wealthy and she has two adorable boys. But we see glimpses of their home life and see that Perry abuses Celeste. At the end of the Kindergarten roundup, one of the girls is hurt. She has bruises on her neck. The teacher asks her to identify the person that hurt her. She points her finger at Ziggy. Jane stands up for her son to the rest of the parents and Madeline stands by her side. A battle line has been drawn between the parents before school has even started. Throughout the episode and the series, we see different members of town being interrogated at the police station. Most of them mention Madeline and Celeste and the women at school. The viewer is unsure of what has happened. From the brief instances of conversation, the viewer can guess that someone has died and it might be a murder. Who died is not revealed. So throughout the series, the viewer is left wondering which character died and who the murderer might be. The series has seven episodes. A delicious drama and tantalizing mystery leaves the viewer guessing and wanting more. Just looking at the title, one would assume that this movie is just about space, presumably Mars. But you would be wrong. The Martian is a story of survival that just happens to take place on Mars. 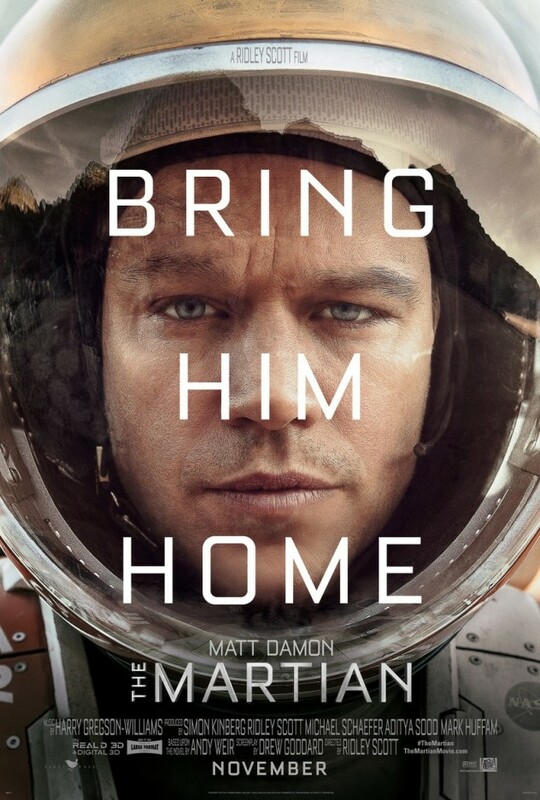 Mark Watney, portrayed by Matt Damon, is accidentally left behind on Mars after his crew mates erroneously presumed that he was dead. Watney must figure out how he is going to survive with some meager supplies. Surviving in the wilderness on Earth can be quite challenging in itself. One must find food and clean water as well as have shelter from predators and the elements. Imagine having all of these problems plus needing to have a supply of oxygen and protect one self from the hostile environment on Mars. And yet, Mark Watney manages to find a way to stay alive. And he does so with a sense of humor. Even in a tense situation, while you are sitting on the edge of your seat, Watney will figure out a way to make you laugh as he himself laughs at danger. He makes contact with NASA and finds out that it will take a very long time for them to rescue him. The question becomes, will Mark Watney be able to stay alive long enough so that he can be rescued? Nominated for Best Picture and for Best Actor, Matt Damon. The Martian won the Golden Globe Award for Best Picture, Comedy or Musical and for Best Actor, Matt Damon, in a Comedy of Musical. Do not let the Golden Globe Awards fool you. Even though The Martian has funny moments, it is not a comedy. The Martian is based on the book of the same name by Andy Weir which is also available at the Davenport Public Library. Popular books being made into movies is nothing new, but it seems like there are a lot of them to get excited about this year. Here are a few that have already seen theatrical release in 2012 and some more that will be coming soon to a theater near you! 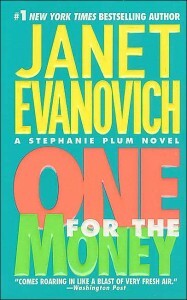 One For the Money by Janet Evanovich: A New Jersey bounty hunter with attitude, bail-bonds apprehension agent Stephanie Plum pursues a former vice cop, now on the run, with whom she shares a sordid history and a powerful chemistry. Now available on DVD. The Vow by Kim Carpenter: Presents the true story of a couple who fell in love again after the wife, Krickitt, suffered a traumatic brain injury in an automobile crash and lost all memory of her previous life. Now available on DVD. 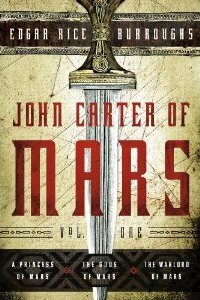 John Carter (based on John Carter of Mars) by Edgar Rice Burroughs: Presents the adventures of John Carter, a Civil War veteran who is mysteriously transported to Mars, where he fights a variety of enemies with the aid of the lovely Martian princess Dejah Thoris. Coming soon to DVD. The Woman in Black by Susan Hill: Arthur Kipps, a young solicitor, travels to the north of England to settle the estate of Alice Drablow, but unexpectedly encounters a series of sinster events. Now available on DVD. 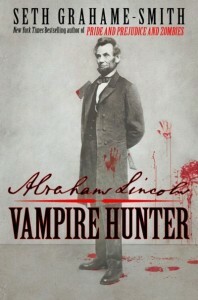 Abraham Lincoln: Vampire Hunter by Seth Grahame-Smith: Reveals the hidden life of the 16th U.S. president, who was actually a vampire hunter, obsessed with the complete elimination of the undead, and uncovers the role vampires played in the birth, growth and near-death of the nation. In theaters June 22. The Bourne Legacy by Eric Lustbader: Former CIA agent David Webb leads a quiet life as a university professor until he becomes a target of an assassin and is framed for the murders of two close friends, and as he fights for his life, he finds himself under the control of his alternate personality–Jason Bourne. In theaters August 3. 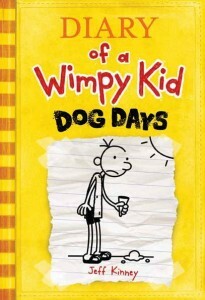 Diary of a Wimpy Kid: Dog Days by Jeff Kinney: In the latest diary of middle-schooler Greg Heffley, he records his attempts to spend his summer vacation sensibly indoors playing video games and watching television, despite his mother’s other ideas. In theaters August 3. Dorothy of Oz by Roger S. Baum: With the aid of Lion, Scarecrow, the Tin Man, and Tugg the talking boat, Dorothy battles Jester, who is using the dead Wicked Witch’s magic wand to turn the citizens of Oz into porcelain dolls. In theaters August 3. If you’ve caught the recent series on PBS, you may want to go back to the first dvd series of Wallander. Kenneth Branagh inhabits the morose Swedish Inspector Kurt Wallander. He feels the pain and suffering of the world to the extent that it interferes with his relationships with his daughter, father and ex-wife. Always close to burnout, Kurt repeatedly puts his job before whatever is left of his home life, and they are very much aware of that. The tv series is based on the Henning Mankell mysteries set near Ystad in Southern Sweden. The tones are bleached out; the Swedish countryside comes off as pale and tired – as if all vibrant hues have been drained out out of the world. It sounds incredibly depressing but there’s something about Wallander’s character and Branagh’s portrayal of him that makes this very complex man impossible not to watch and root for. Optimism and hope seem misguided if not futile, but Wallander keeps hanging in there. Those looking for nonstop spectacular violence and pounding background music will be disappointed but if you enjoy complex characters, intricate plots and incredible acting, you won’t be disappointed. 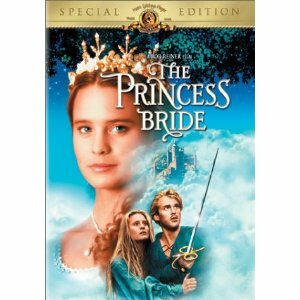 I’m a little embarrassed to admit that until recently, I had no idea that the movie The Princess Bride was a book first. So this is one of those rare instances where I saw the movie before I read the book. Typically that hinders my enjoyment of the book, but I can solidly say that this wasn’t the case with The Princess Bride. 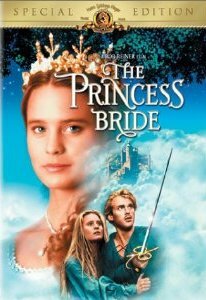 I’m happy to say that even though I saw the movie first, I found the book The Princess Bride by William Goldman even more enjoyable. The movie followed the book’s plot very closely, but the book has lots of valuable extra detail and backstory that you miss out on in the movie. The book also included many fun little asides by the author, who wrote the book as though it’s an abridgement of a classic tale. His little notes peppered in about what parts were so dreadful he had to cut them out and what happened when the original tale was read to him as a child made the book such a fun read that I couldn’t put it down. If you’re looking for a book with a little bit of everything (humor, adventure, sword fights, romance, and so much more), I highly recommend checking out this book and then watching the very faithful film adaptation.